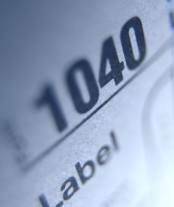 Roy G. Bryan, CPA offers professional preparation of all federal, state and local tax returns at competitive affordable rates. We continuously monitor federal, state and local tax law changes to allow our clients to minimize current and future tax liabilities. If necessary, we can implement tailor-made due-date tax compliance monitoring systems for your company to prevent costly interest and penalty assessments attributable to late filings. We offer full tax preparation and filing services, too. Individual Taxes / Corporate Taxes We strive to prepare your taxes quickly and efficiently. We are available to assist you with your tax planning needs. We offer electronic filing, when and where available. IRS and State / Local Representation We stay in-the-know regarding tax laws. Therefore, you can know we will do our best to prepare your tax return accordingly. We can provide complete representation services before the IRS, as well as state and local taxing authorities; we have experience in negotiating 'Offers in Compromise' with the IRS. Estate, Gift and Trust Tax Return Preparation We have knowledge and experience of filing federal, state, inheritance, gift and fiduciary tax returns. We are available to advise you in your estate planning needs including business succession planning and gifting strategies.